If you’re like me, you’re always looking for excellent vintage fashion and gifts. I recently found a gorgeous vintage shop over on Etsy and just had to share! Look Again Vintage is the shop and I’m very impressed with the quality she features – take a look at these fabulous shoes! Great vintage is such a find – and where can you find well-made, great looking finds like this that are so affordable? You definitely want to check out this shop! 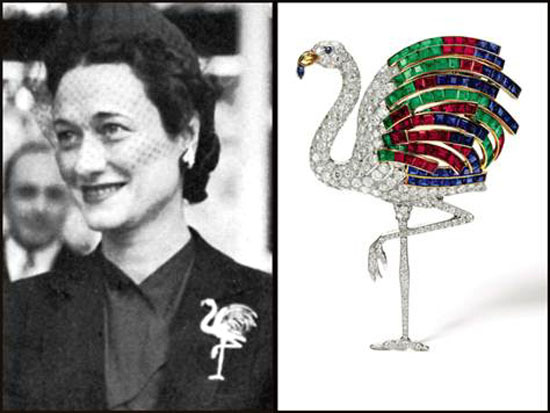 The Duchess of Windsor – now *these* are vintage jewels! 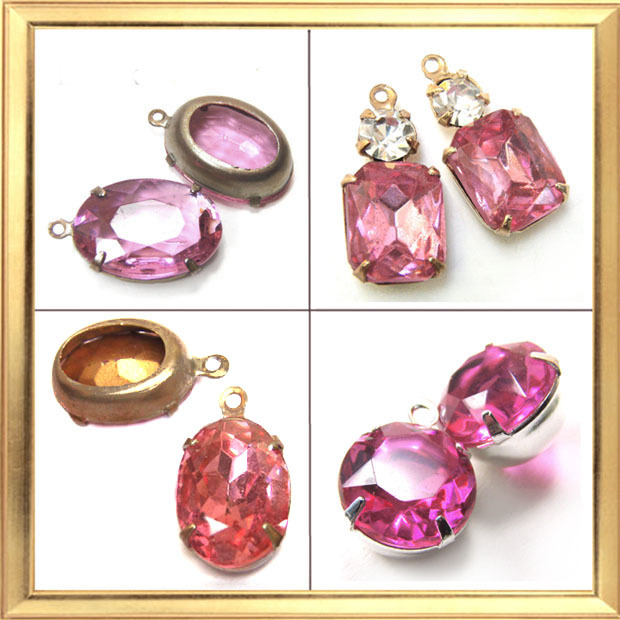 I was thinking recently about vintage rhinestones, and that led me to vintage jewelry, and that led me to fine vintage jewelry, and of course that led me to the Duchess of Windsor. She had own style, that’s for sure. Take a look at this pin! Actually I think Wallis Simpson is a pretty fascinating woman – and story. And she certainly loved jewelry. The good stuff. I think I read recently that a collection of her fine jewelry was sold at auction for $12.5 million. With an M.
Kinda out of my league – so far out that it doesn’t even bother me. These are all Rose Pink. Really. I just think it’s interesting, the different colors that have gotten one name in the jewelry biz over the past few decades. And these are not even all the examples I have of that color name – only the pics I had with white backgrounds. All the shades are lovely. They’re just not the same. No wonder people get confused sometimes when they’re ordering a certain color!